To ensure you have the best day possible I’ve put together 5 great ideas of how you can have the perfect Valentine’s Day at St Pancras from start to finish. 1. 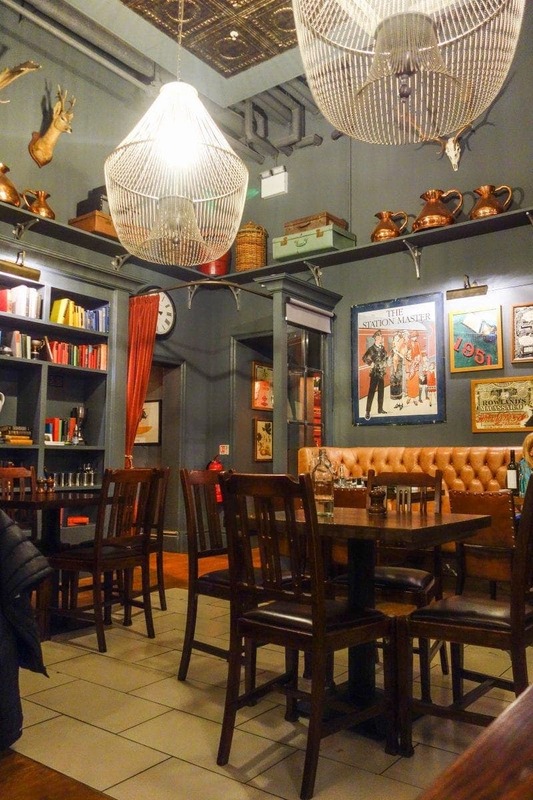 Have dinner at The Betjeman Arms. 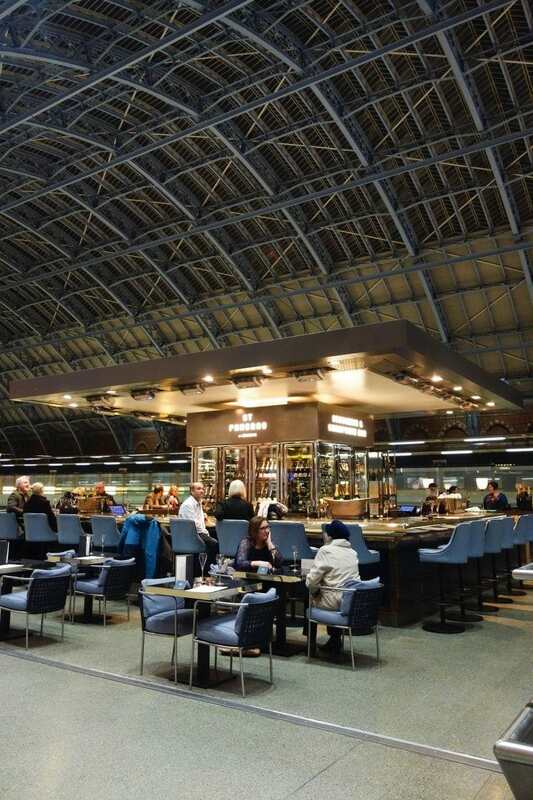 There are lots of gorgeous restaurants to choose from at St Pancras International that you’ll be spoilt for choice. The Betjeman Arms is a cosy British pub and eatery, which has been recently refreshed with a brand new look – it’s bright, colourful and refreshingly modern whilst still retaining all of the quintessential design quirks of a traditional pub. One of its more unique points is that it offers outside seating so you can sit and enjoy your meal underneath the splendour of the station’s architecture whilst watching the trains whisking travellers off to Paris – very romantic! 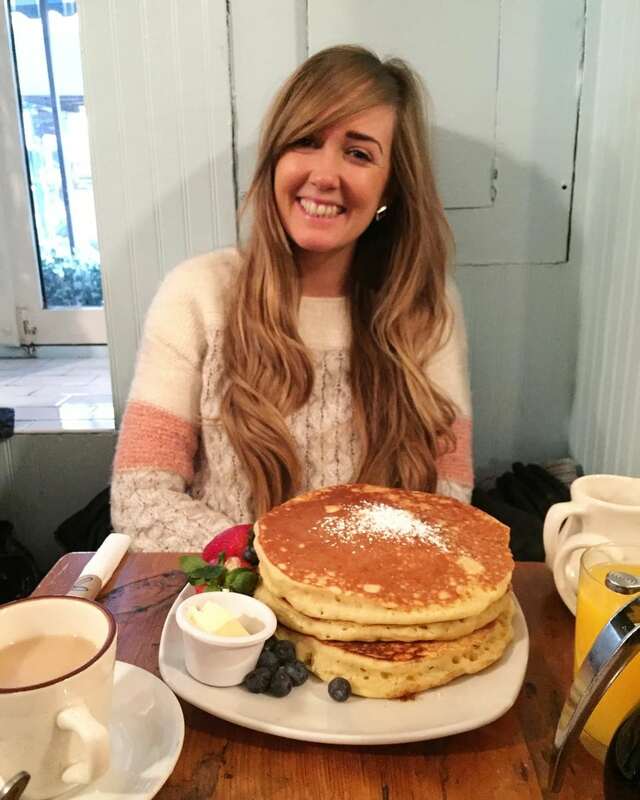 You can choose to sit in the parlour, restaurant or bar so whether it’s a candlelit dinner for two on the 14th, or a quick catch up with a friend post-work you’re guaranteed to find the perfect spot to suit your needs! 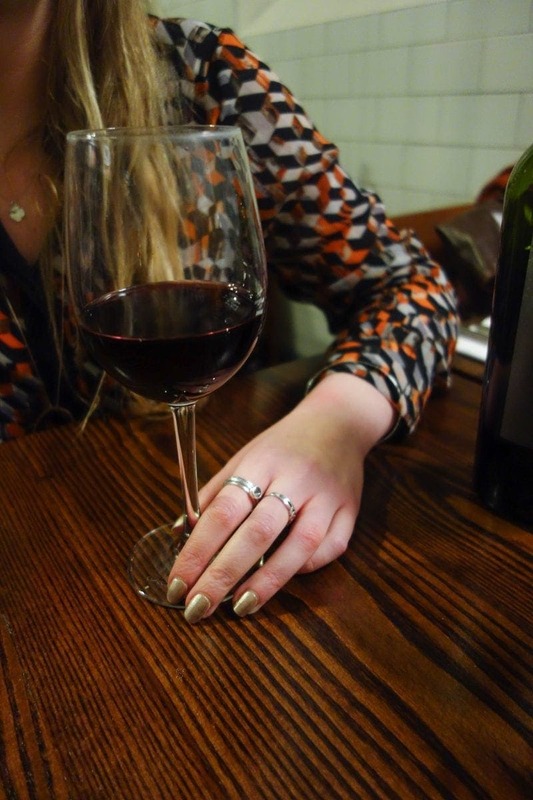 We shared the Cote Du Beouf after it was recommended to us by the highly knowledgeable and friendly staff and it was an absolute winner. 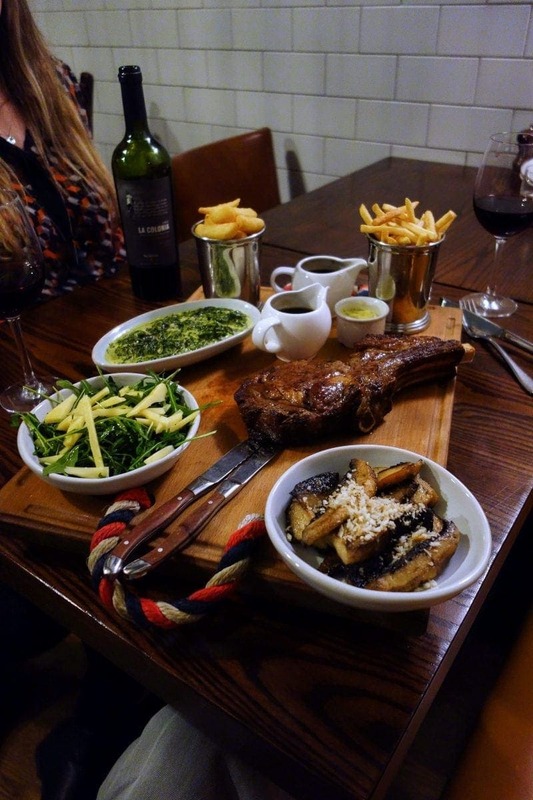 Not only did it come with a generous amount of sides including 2 portions of fries, mushrooms and creamed spinach it was excellently paired with an Argentinian wine – the Finca La Colonia Colección Malbec. It was a fairly complex malbec with spicy notes, making it the perfect pairing for the succulent beef. 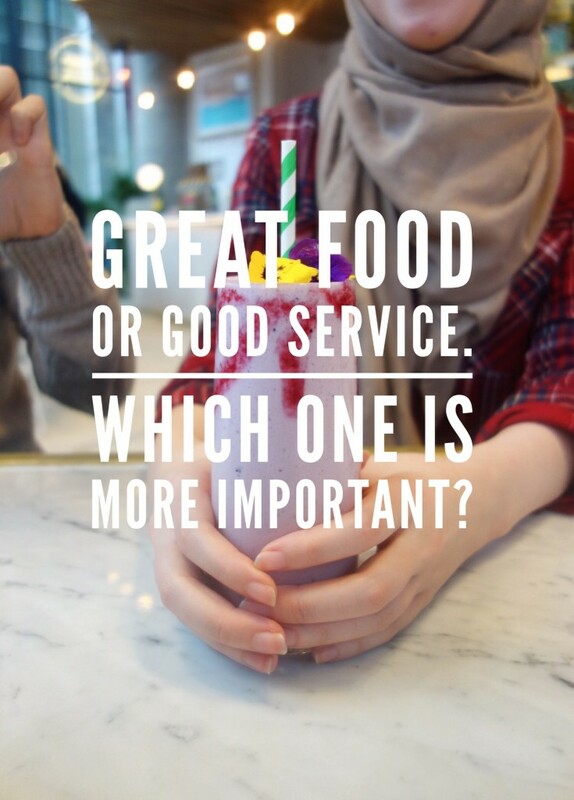 Of course, there are plenty of other options – they have a wide selection of vegetarian and vegan dishes as well as all the British classics! They also claim to have the best Sunday Roast in the area – which I will certainly be going back to try. 2. Experience the beautiful architecture. 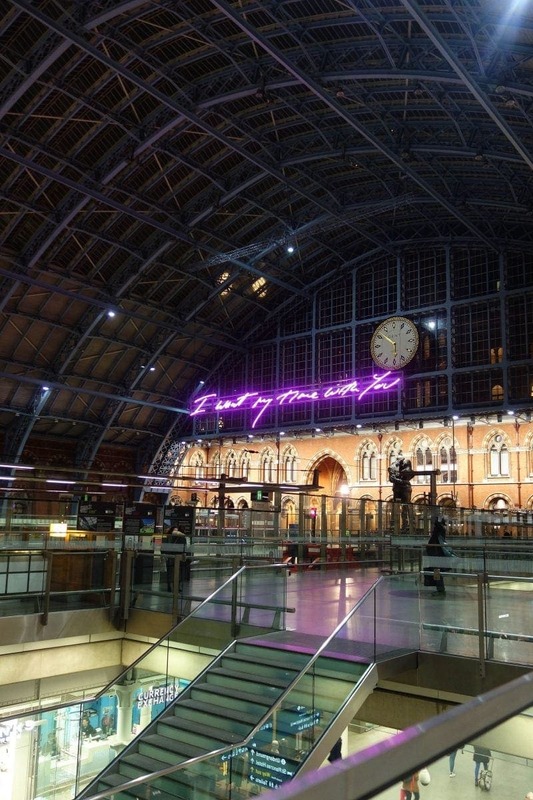 St Pancras boasts beautiful gothic architecture and a truly magical atmosphere. 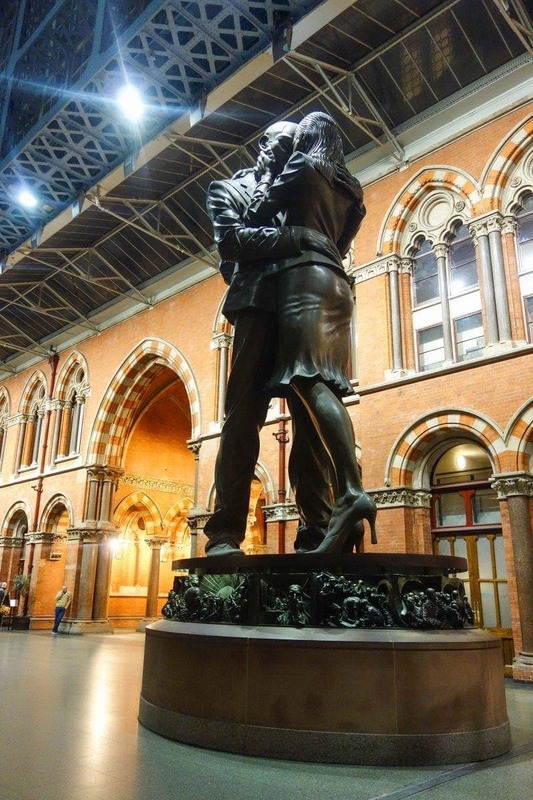 Pay a visit to see ‘The Lovers’; a breath taking 9-metre tall bronze statue created by artist Paul Day, depicting the embrace of two lovers meeting at the station. This iconic statue sits just below the DENT London clock and the 20 metre art installation created by Royal Academician Tracey Emin CBE titled ‘I want my time with you’ She said: ‘I cannot think of anything more romantic than being met by someone I love at a train station and as they put their arms around me, I hear them say ‘I want my time with you’. 3. Head to the shops and treat yourself or your loved one! 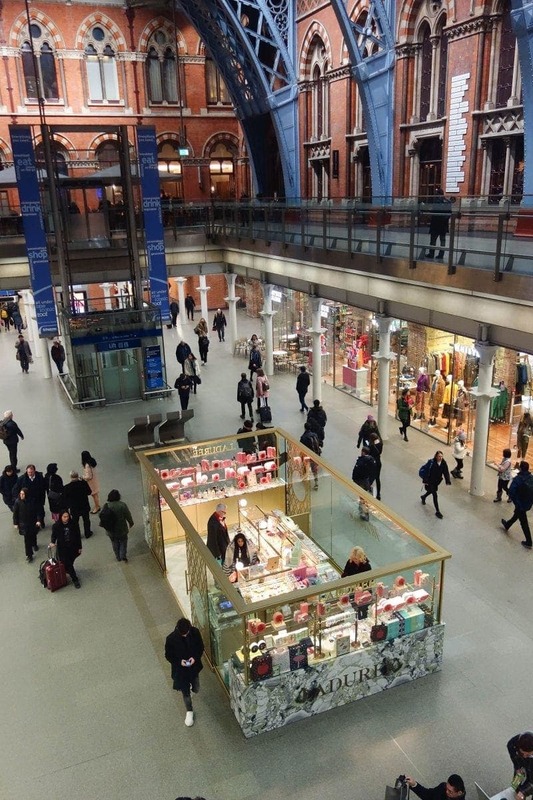 St Pancras is home to lots of great premium places to shop. It has wide selection recognisable brands and you’ll find everything you need from beauty and fashion, chocolate to jewellery. 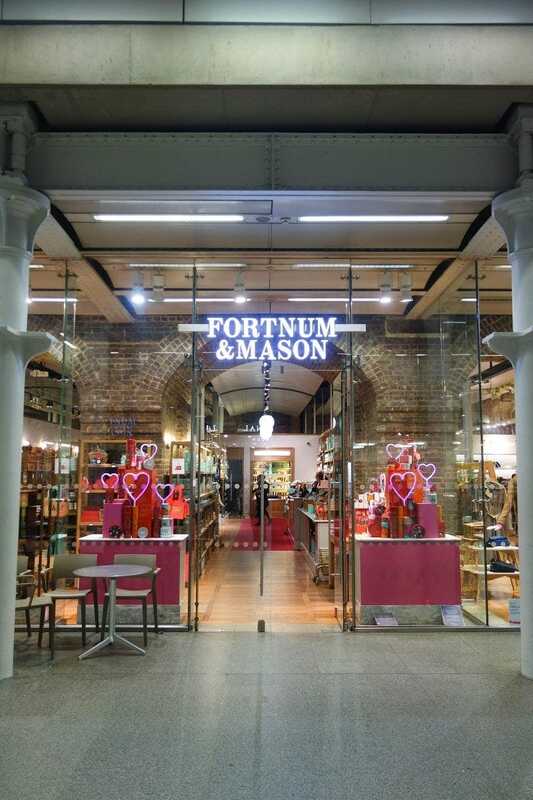 Plus, it’s all under St Pancras’ iconic roof so treating your loved one is completely hassle free! 4. Get lost in the history. St Pancras was built in 1867 by Midland Railway Company with the desire to connect London with some of England’s major cities. The attempt was successful and the first train arrived at the station a year later on the 1st October 1968. Sadly, St Pancras was a victim of the second world war and was damaged when 5 bombs fell on the station and plans to demolish it were being undertaken. 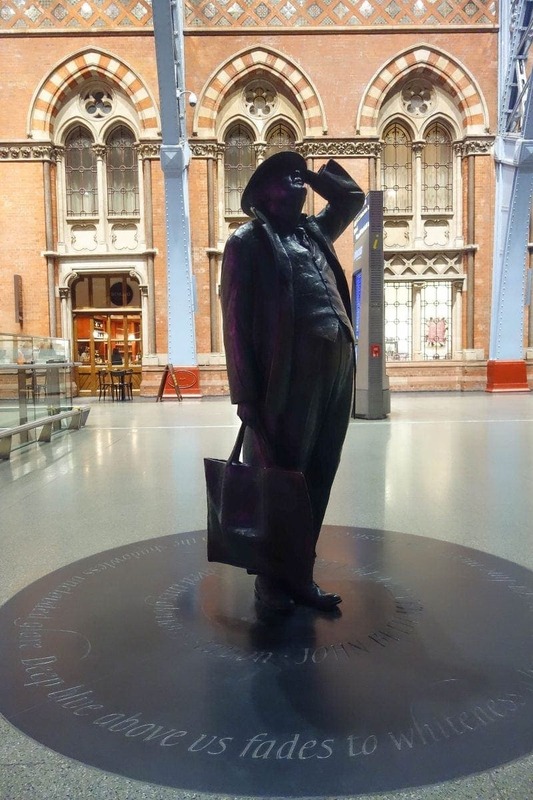 Thanks to the response from figures such as architectural historian Niklaus Pevsner and poet John Betjeman (the gentleman below) , the station was listed Grade I in November 1967 and plans stopped. Later ‘The Betjeman Arm’s (the pub I mentioned previously) was named after him. A newly restored Station was opened by the Queen on 6th November 2007 at an opening concert performed by the Royal Philharmonic Concert Orchestra. 5. 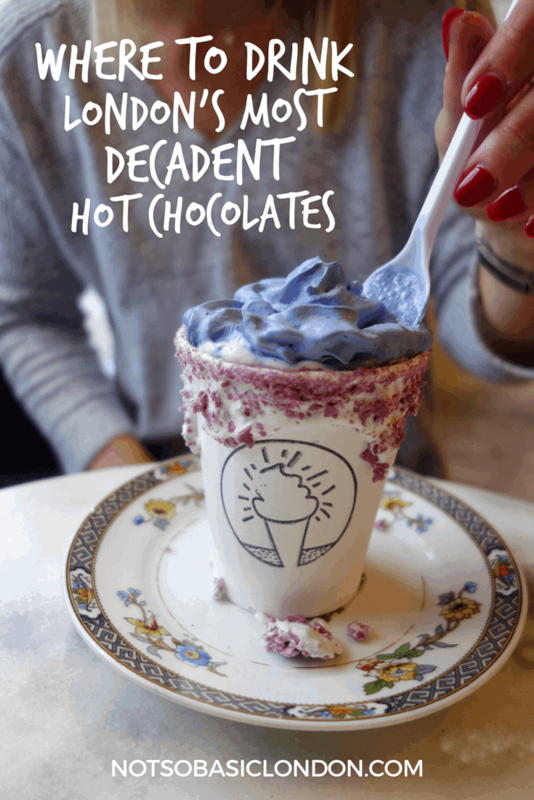 End by Indulging in dessert! Stop by Laudree or Godiva to pick up a little something to take home. 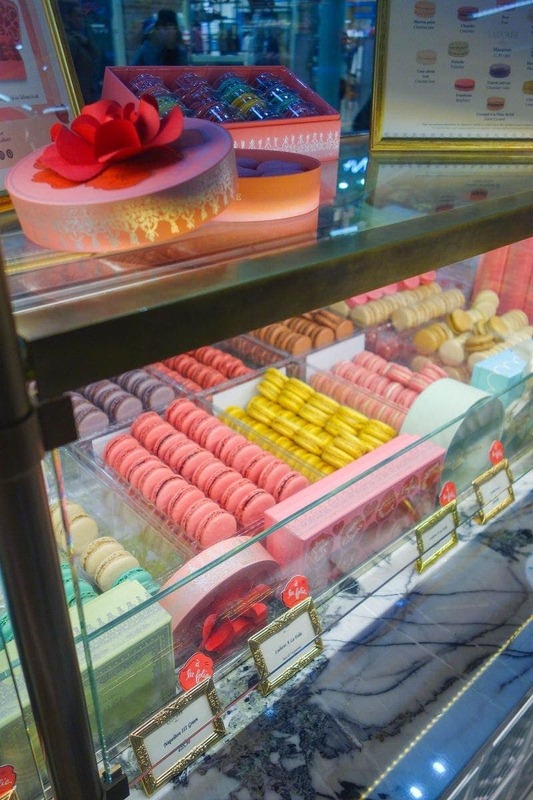 Nothing says romance like a box of beautifully boxed macaroons or an elegant piece of cake from this high-end French patisserie. If you’re struggling to think of the perfect gift for the big day, spoil someone with a St Pancras gift card which can be used at many of their shops, boutiques and restaurants including The Betjeman Arms. You can see all the places you can experience at St Pancras here and you can click here to buy the gift card. 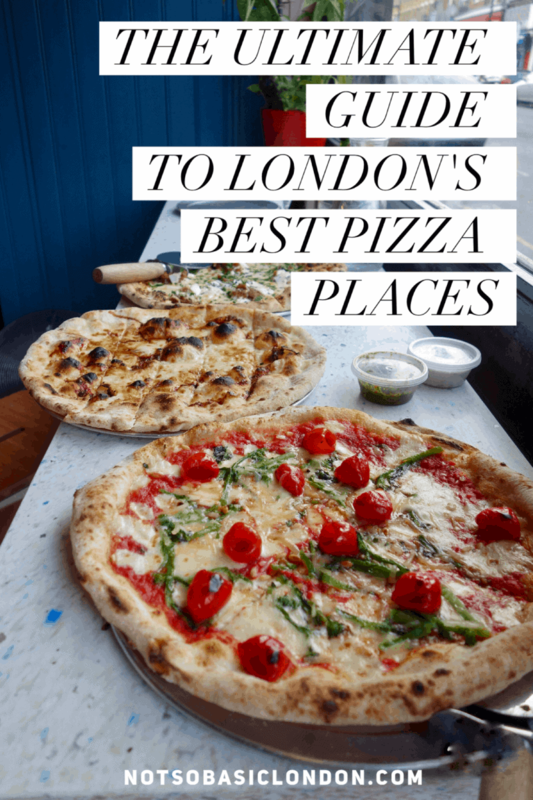 *This article is an advertorial and St Pancras have kindly sponsored this post. However, all thoughts and opinions are my own. 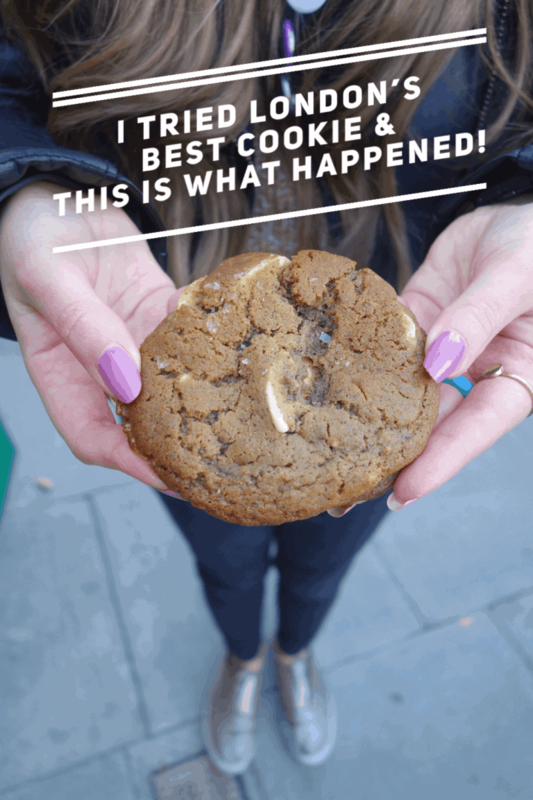 Previous Post Where To Eat in London if You’re Nutty for Nutella! 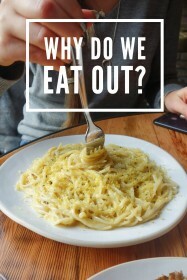 Next Post Instagram: Why Follower Count Shouldn’t Matter … But It Does!